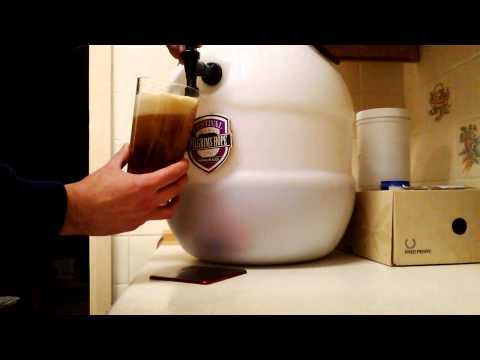 The best tap we have seen here at Home Brew Online for attaching to a plastic barrel. Use this to replace the drum tap that comes with the barrel. This tap has a vertical lever flip top action, it can be pressed down or pulled up and locked open. It has a sparkler nozzle that can be adjusted to perfectly control the head on your beer, the difference that this tap can make is amazing. Showing 2 of our total 16 reviews, with an average rating of 5 stars. Read all 16 reviews for Home Brew Online Brewgas Deluxe Sparkler Tap. Much better than my other barrel taps. The adjustment makes pouring the perfect pint simple and repeatable, plus it doesn't keep dripping like other taps I have tried. This tap is a lot easier to use than the standard drum tap and once you get used to the sparkler system it pours a good pint. Rubber washer on outer side of king keg could be slightly larger though for a better seal but hasn't been to much of a problem.